EXCLUSIVE INTERVIEW: Dale Earnhardt Jr. Jr.
No one would expect The Motor City to serve up a band that favors dulcet harmonies and eloquent drum sprinklings. But then again, no one would expect that band to go by the tongue-in-cheek handle Dale Earnhardt Jr. Jr. either. Casually formed and unexpectedly meeting success, Dale Earnhardt Jr. Jr. has since their 2011 pop patch-worked album It’s A Corporate World sharpened their multifarious sound. Next up is the cohesively-composed, genre-bending sophomore project, The Speed of Things. Josh Epstein, between soundchecks and a Dallas, TX show, took a few minutes to chat with The Owl Mag about the new EP Patterns, lyrical storytelling, and Icelandic epiphanies in Big Lebowski-themed bars. The Owl Mag: Hi Josh! How are you? How is tour going? Josh Epstein: Great, we’re in Dallas. I have my dog on tour with me for the first time, so it’s a new world! We just did our second sound check. We’re playing a concert tonight and then we’re going to go do a late night DJ party so we soundchecked both. It’s been a long day but it’s been fun. The Owl Mag: Wow, great! So you guys formed in 2009, and it’s only 2013, so success has come pretty fast. When you first started out, was there any inclination that you guys would get big like this so quick? Epstein: No, not at all. It literally started as a recording project. I wanted to make an album [with others] that were fully able to make their own album, because I felt like I was able to come up with all the parts for all the instruments and I thought it would be really fun to work with someone else like that. I tried it with one person and it didn’t really work, but then I heard Daniel’s album—he had put out a solo project—and it was so good. And I was really impressed and got his number from a mutual friend and called him and asked if he would mind trying to work together on a song. The first day we got together we recorded the song “Simple Girl” which ended up on our first record. The Owl Mag: That’s lucky! Epstein: Yeah, well we never actually would, have put it out. So from there, things just went kind of fast but it was really so unintentional. The Owl Mag: What is the touring dynamic like? It was just you and Danny for a long time. Now you’ve got two new members. Epstein: Yeah, you really need a drummer. When [you’re] playing songs with drums, live, it just doesn’t have the same life, ever [without them]. It is the one thing that you can’t simulate. And this time around our new album is way more involved and intricate and Danny and I wanted to be able do more of the vocal layering that we were doing without having to sample ourselves. We ended up finding another guy as well who is one of our favorite musicians from the Detroit area. I didn’t know if he would be willing to do it since he had a lot going on—he’s got a few projects—but he seemed interested and we ended up rehearsing together a couple of times and it just felt right. He’s with us now and it has been awesome. It feels really cool to have a real band. The Owl Mag: Ok, so you guys are from Detroit and when we think of Detroit we think of the beginning of electronic music and Motown. Do you feel like those types of styles had any influence in the kinds of recordings you were doing? Epstein: Well, I think that Motown has definitely seeped its way into the way that Daniel and I think about melody, because that is what we grew up on and I think that that just happens. Whatever music you first learned is the way that you tend to think about it. But Detroit is really spread out and there’s not necessarily [the case]. In New York, every few years there are four or five bands that have the similar vibe. Detroit doesn’t really have that. Everyone is just existing on their own. That’s why I think there is such a diverse group of bands coming out of Michigan. The Owl Mag: Okay, yeah. I guess along those lines of different kinds of bands, I was just reading some reviews of Corporate World when you were first coming out, and the band likenesses were all over the map. You get a lot of classic pop comparisons to the Beach Boys, The Beatles, Simon & Garfunkel…do you feel like any of those are still accurate similarities to the band now? Epstein: Yeah, you know I think that whatever people hear in something is probably true. It’s probably there somehow. Whether it’s there in the listener’s mind or whether it’s there in the person who created the music’s mind, it just kind of overlaps with each other. Daniel and I really wanted to make music where we didn’t have to be pinned down to one genre or one style and I think a lot of times with this project for us, it was like, we didn’t plan on there even being a band [initially,] so it almost felt like if we had an inclination to be one, [we thought,] let’s just do it. Why not? The Owl Mag: Yeah, it seems like people have issues categorizing your sound a bit, especially with the new Patterns EP. You do actually seem to have a lot of patterns going on with it. It also seems like it is one of visual aesthetics of the band, especially on the album—bright colors and checkered patterns and things like that. Is that meant to be something significant, aesthetically speaking? Epstein: Yeah. I think that as a musician, if you ever get to a place where what you made was the best you have ever done, its probably time for you to stop making music. So, obviously Daniel and I felt like we could do a lot better and one of the things that I think bothered us about the first album is that it seems like it was a patchwork of stuff because it literally was a patchwork of stuff. There was a song here, a song there, and it was recorded over like 8 months—one song a month basically. So, when it came time to record this album we wanted to really have an aesthetic sound-wise, and we wanted this whole thing to feel like a project. And I think it was actually like a very important moment for us both as musicians, because this is like one of the first times when I started writing about characters. Epstein: I had this epiphany. I was in Iceland [Epstein’s wife is Icelandic] and I was hanging out with a lot of people and noticing how they listened to music. They all listened to music like when they were getting ready to go out or when they were making dinner with their family or driving in their cars with friends, but it was like they also listened to music on a more personal level. Like in a more private way. And I started to realize these people were having interactions with songs in a completely different way that I did. And so I started to think about it in that way and to write about [characters]. I guess we all fall victim to like feeling like everything we make has to completely represent everything that we are. But that is a lot of pressure to live up to. The Owl Mag: Yeah, absolutely. Epstein: And when you try to take a specific project, like ours, I want it to be something that’s…well, I feel like it’s a lot easier to just start to get ideas out, and what we found in the end was that a lot of it felt more honest than anything we had ever done because by not writing about yourself you end up putting in way more stuff that’s you. Epstein: So it ended up like a very specific project that we had made and we wanted to have the entire thing feel that way. Sorry, that’s a super long answer to your question. The Owl Mag: Haha, no, no, I love it. I did read something about you in Iceland like you mentioned—you had seen a group of people in a bar dancing to a Michael Jackson song? Epstein: Yeah, like I was in Iceland. The bars never close, and I was out at this bar called “The Big Lebowski” which is actually like a Lebowski themed bar, which is really weird. It was really late at night and this Michael Jackson song came on that I never really heard—a B side—and all of a sudden, every Icelandic person there did a choreographed dance. They all knew the song and they were all dancing—I mean people that were 45 years old and people that were 18 years old—and I just couldn’t believe it. It was like everyone in the country knew this song and I just remembered thinking, “Oh my God, how fun would it be to make something that could go out and live in the world in that kind of way?” And you know sometimes, that kind of song that someone wants to listen to in a private moment is not something that I don’t want to write, but at the same time I started thinking about how fun [it would be] to try and treat it like an art project. I also think it is more challenging to do that. That seemed like a more interesting path to take rather than just doing the same thing. We thought, why don’t we try and write something that we find interesting but could actually go out and mix it up with more people and like interact with the world in a different way? The Owl Mag: Yeah definitely. Yeah it seems like from what I heard of the EP, it’s much more cohesive than Corporate World, or at least not as much of a patchwork as Corporate World was. And it seems like as a whole it is a bit more experimental to hear. Tell me about the new album, The Speed Of Things. Is that cohesiveness something that we can expect to see on the new album? Epstein: I think that it is something, that you know, the EP is a really good encapsulation of like some of the scope of the sounds that we are playing with on the new record. There was one song specifically where the lyrics were about a guy—this is on the Speed Of Things which isn’t out yet. It was about a guy—I guess I have to preface this by saying there is a loose concept to The Speed of Things, it is kind of about the modern world and where we are with the speed of information and just how fast everything is going and how big everything has become. There is one song about one guy who is having trouble with intimacy and empathy and he is kind of hoping that his lover will die so that she’ll come back to life as a ghost and in that way he will really be able to feel her, which is like a really weird thing. At the end of that song and recording though, I was like, oh my god, this is the most honest thing I have ever written and it wasn’t even about me. I think we all have these fears like, am I feeling everything that other people are feeling? Am I putting enough into this? Am I investing all of my mind into this relationship? And these moments kept happening with this record. It was because I wasn’t writing about myself it ended up being this really cathartic thing, where I was saying so much more about who we are as people. And in that way it was a really special moment for me and for Daniel too. The Owl Mag: Wow, yeah. We’re really looking forward to hearing it. Did you record the album with Mike and John [the new drummer and keyboardist, respectively]? Epstein: John came in after the record, and Mike actually did play drums on a lot of the record—he is just too good of a drummer not to utilize—but sometimes it is hard for Daniel and I because we both have ideas and Daniel especially is such a gifted producer and musician. He can play everything, he has so many good ideas, and he is so good at it that it is hard to have a band situation, but there were so many moments that we realized that Mike would benefit the song and so we had him come and play a lot of parts on the album. And it feels a lot more like we are a band now. The Owl Mag: We’re so eager to hear it now! Do you feel like it is really miles ahead of Corporate World? Epstein: Well I really feel that there is something really charming about Corporate World, because it was recorded in such a loose way and we weren’t really invested in the outcome. And because of that, we were really able to take some risks. In a lot of moments it is so loose that it is nice and it is charming. So I don’t necessarily know that it is miles away from Corporate World, but I think Corporate World was a moment in time and it was really cool. I listen to it and I still really enjoy it. Epstein: But I think that as far as a full record and a vision that like we had and we feel like we got close to realizing, this feels more like a complete thought. The Owl Mag: Yes, not so fragmented as Corporate World. Epstein: I think that for some reason that maybe Corporate World gained Daniel and I this attention to our music that neither of us have ever experienced. So getting this chance to make this new record [when] you know you have an audience that is eager to hear it is a really fun moment. I think that it almost feels like someone is handing you a microphone at a pep rally and asking, “So, what do you have to say?” I think that we felt like the best thing to thing to do was to think about where we were in the world and what the world was to us and to try to write a story about people and places that are interesting now and trying to be honest about it. And in that way it was like a really fun project and I am really excited to share and get to play all the songs for people. 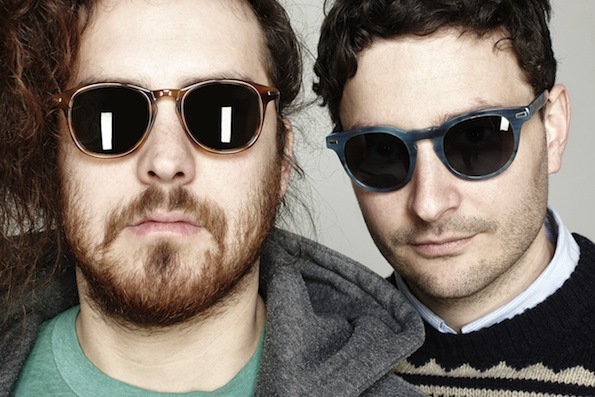 You can check out Dale Earnhardt Jr. Jr. on May 17th at The Independent in SF. Tickets available HERE.